Michael Shaw on merger-mania in the drug industry. He is not a fan. Today we give a shout-out to ACSH friend Michael D. Shaw for his provocative piece that was posted on the HealthNewsDigest website. This topic is something we have written about regularly: What happens to pharmaceutical research when big companies merge and/or layoff scientists? Entitled Don t Let Big Pharma Merger Mania Stifle R&D, Shaw s op-ed takes issue with the current (and also not so current) strategy that has been employed by the industry regarding mergers and acquisitions. Shaw is not a big fan. He says, Given the huge costs of bringing a drug to market, and the ticking clock of a drug s patent protection, it is easy to understand Big Pharma s current fascination with mergers. A case in point is the recently abandoned deal between Pfizer and UK-based AstraZeneca. But, be no one who follows this can be surprised at this trend, since it has been going on for years. And the results are all pretty much the same. 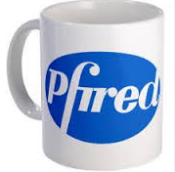 Shaw notes, However, it was no secret that Pfizer would have cut R&D budgets, as well as employment. Indeed, on May 13, Ian Read, Pfizer s chairman and CEO told members of Parliament that We ll be efficient by some reduction in jobs. What I cannot tell you is how much or how many or where. I do not expect the combined [R&D] budget will stay the same. I expect it to be lower. How much I cannot say. We ll be efficient by some reduction in jobs: You are SO hosed. What I cannot tell you is how much or how many or where: Actually I can, but I d rather not. Cause it s gonna be a bloodbath. I do not expect the combined [R&D] budget will stay the same. I expect it to be lower: But it won t be low enough to significantly impact the $18 million I earned in 2012. Shaw cites a Bloomberg Business Week article from July, 2009 called Mega Mergers Can t Cure the Pharmaceutical Industry, in which the authors note that [M]ergers have typically contributed to declines in R&D productivity. Furthermore, Shaw adds, A report issued this month by Mizuho Bank goes further, and presents data supporting its finding that several Big Pharma firms have significantly cut R&D expenses following mergers. Shaw concludes with a very prescient statement: Expect to see an increase in patient advocacy directed towards Big Pharma, and insurers, as well as the providers. Those entities which respond poorly are likely marked for extinction. In other words, drug companies that think they can simply merge their way out of financial trouble will find that this isn t so easy anymore.